Raunchy and violent online music videos will display ratings to protect children from inappropriate content, after major record labels backed a Government scheme. Sony Music, Universal Music and Warner Music have agreed to submit pop videos to the British Board of Film Classification (BBFC) before uploading them to YouTube and Vevo, following a successful pilot. The scheme was launched by the Department for Culture, Media and Sport in October amid growing concern about the sexual content of videos by stars including Miley Cyrus and Rihanna. 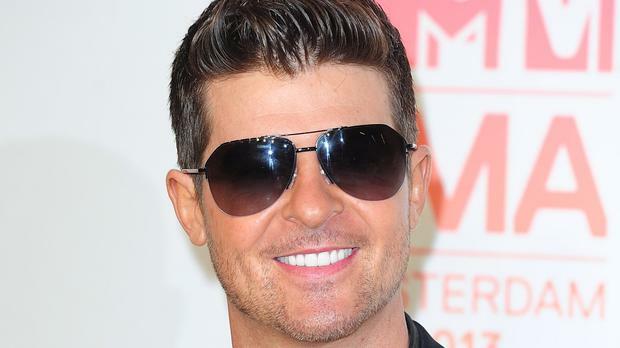 Robin Thicke's hit Blurred Lines, released in 2013, also drew fierce criticism for its apparently lewd lyrics and video which featured naked models dancing. To date, 132 videos have been submitted to the BBFC by labels, with 56 rated as a 12 and 53 classified as 15. Dizzee Rascal's Couple Of Stack was the only video to be rated 18 for "strong bloody violence", "gore" and "very strong language". Calvin Harris's Open Wide was considered suitable for those aged 15 and over due to its "strong bloody violence", sexual references and language, as was Meet Me In The Middle by Jessie Ware, because of its sexual content. Geoff Taylor, chief executive of the British Phonographic Industry, said: "Britain is a world leader in making exciting and original music, in part because our artists have a freedom to express themselves that we rightly cherish. "While we must continue to uphold this principle, it is equally important that music videos are broadcast in a responsible way and that parents are given the tools to make more informed viewing decisions on behalf of their families." David Cooke, director of the BBFC, welcomed the agreement, saying: "Parents want to see clear and recognisable age ratings on online music videos and we look forward to building on the success of the pilot, in partnership with the industry, so that the public can have the trusted signposting which they seek." The ratings system is set to expand further, with independent record labels participating in a six-month pilot. Nic Jones of Vevo said the company was committed to making age ratings work "as effectively as possible" and would continue to explore additional age controls. He added: "Vevo have been participating in the BBFC's age ratings pilot since its inception and welcome news that that scheme is to be permanently backed by UK major labels. We are very pleased that the UK independent labels - such an important part of the UK music landscape - will now be part of this scheme. "At Vevo we support artists and their creativity, however, we understand the importance and value that age ratings provide parents and music fans to help inform their viewing, enabling them to make choices about what content they wish to watch." Candice Morrissey, content partnerships manager at YouTube, said: "We have been working with the participants in this pilot to help them display the BBFC's age ratings on their music videos on YouTube. These ratings are in addition to the controls we already provide on YouTube including the ability for uploaders to add age warnings to videos and a restricted mode." Claire Lilley, NSPCC Head of Child Safety Online, said: "It is crucial that we keep children safe online, so we welcome this step that will help to protect young people from viewing inappropriate content. "However, it is still far too easy for children to watch videos online that upset and confuse them. There is still a lot of work to be done and for this to have a greater impact, other countries and internet companies need to follow suit and take responsibility for their young users. "We hope that other websites follow this positive move and help keep the internet a safe place for children."